Hi there, my darlings! Bright and early this morning and as always as part of our featured event, I'd like to share with you my review of a limited edition duo from our featured indie, Turtle Tootsie Polishes! Now, with Black Friday a mere 3 days away, Chrissy thought it would be a great idea for me to showcase her limited edition Black Friday duo. This is also the prize for this week's featured giveaway, so if you love these babies and want a chance to win them, don't forget to enter HERE. 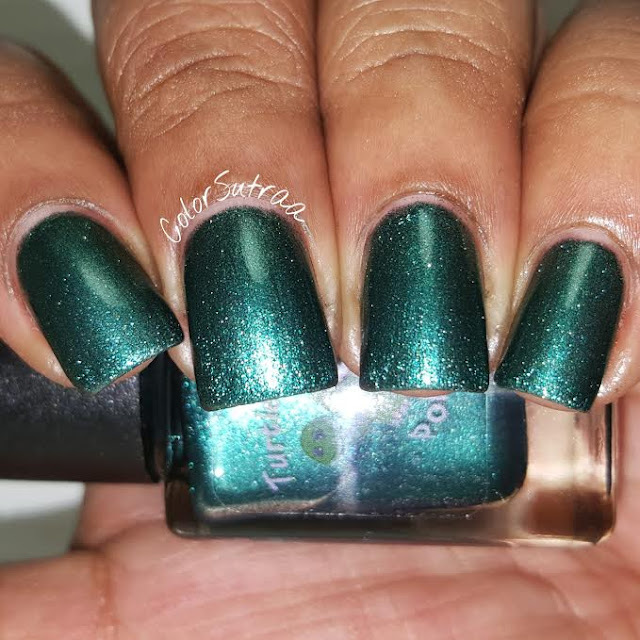 5 Months of Bills is a vibrant shimmery green with a metallic finish. Metallics can be tricky to work with but Chrissy has a knack for making great metallics. 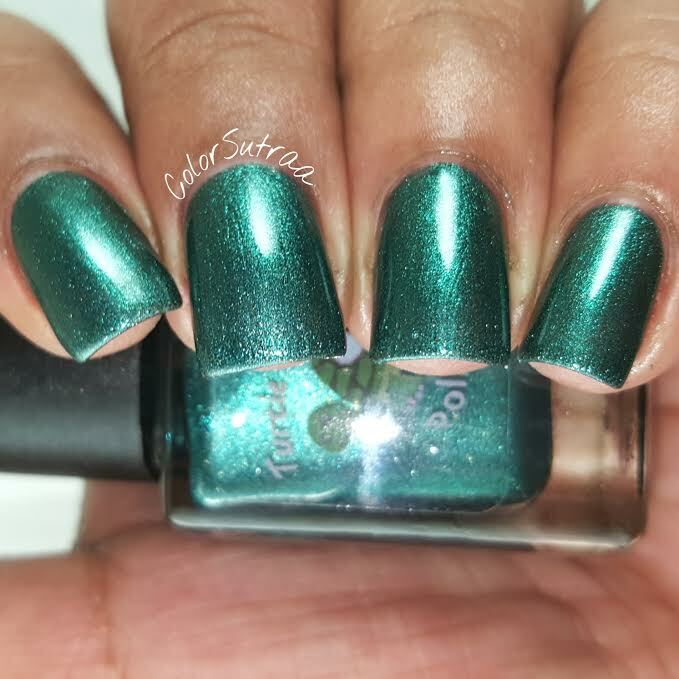 As I was once before, I was really impressed with the formula of this polish--not only is it not at all brushstrokey, it goes on very easily. The swatches below show just 3 thin coats, topped with 1 thin coat of Glisten & Glow's HK Girl topcoat. So pretty and so festive! Midnight Madness is a charcoal gray, almost black, holographic jelly base with assorted small holo glitters. 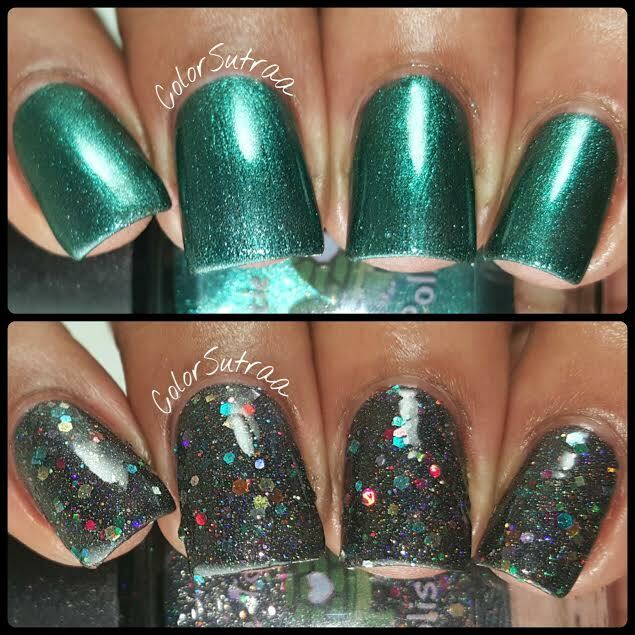 Fantastic formula and application--no unnecessary fishing for glitters with this baby! 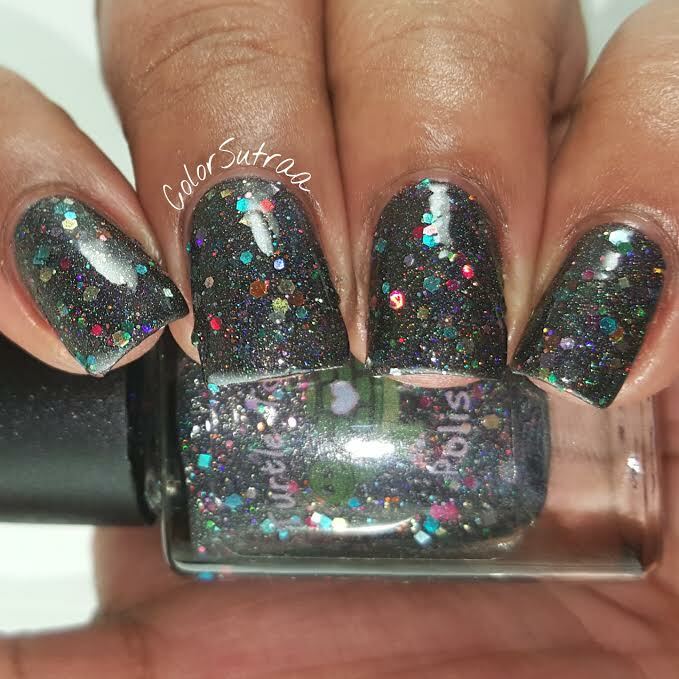 The swatches below show just 3 thin coats, topped with 2 generous coats of Glisten & Glow's HK Girl topcoat to finish the look. 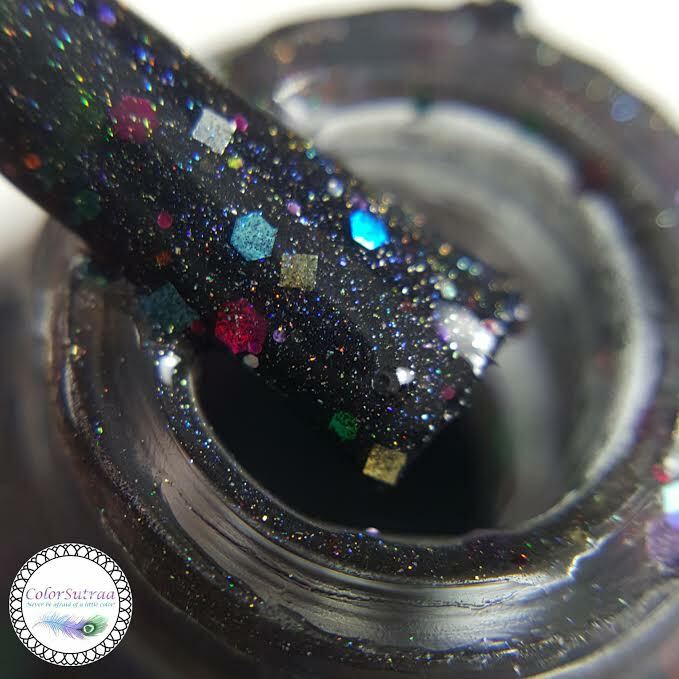 I love how the glitters pop against the dark base! Chrissy also sent me a mini bottle of her Pumpkin Cheesecake scented topcoat and in what I though would never happen to me, I first applied it as a cuticle oil, not fully reading the label at the bottom! LOL! 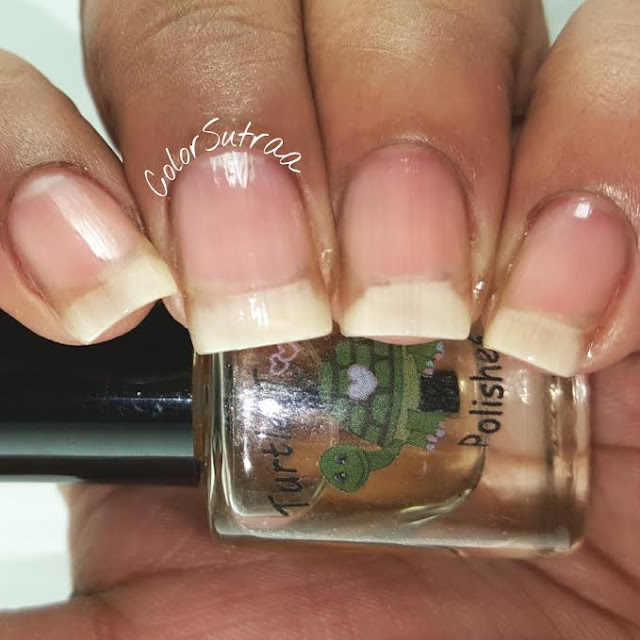 Anyways, once I DID realize, I decided to show you how it looks on naked nails, because obviously I didn't use it as it was intended. As for the scent? 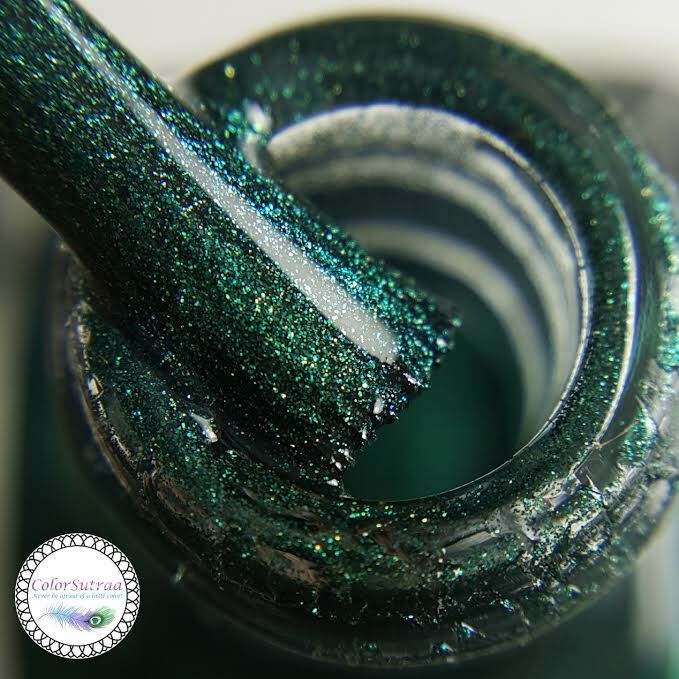 I must be the only person in the US who DOESN'T care for Pumpkin anything but for those of you who do, and I know there are bunches and bunches of you out there, you'll love the intense sweet-yet-spicy fragrance of this topcoat! So there you have it, my darlings! 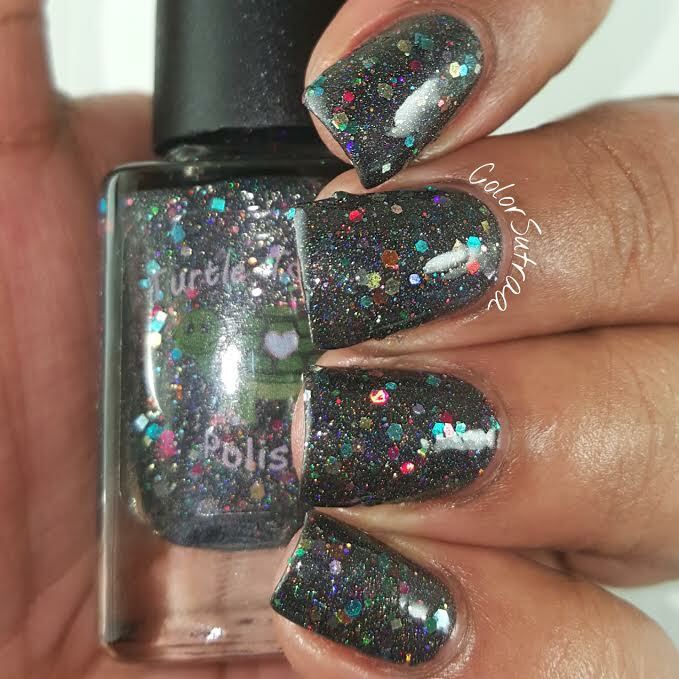 Turtle Tootsie Polishes' Black Friday duo will be available HERE on Black Friday, November 27th for the price of $20.00. You will also have the option of purchasing the Pumpkin Cheesecake topcoat for a discount with this duo. 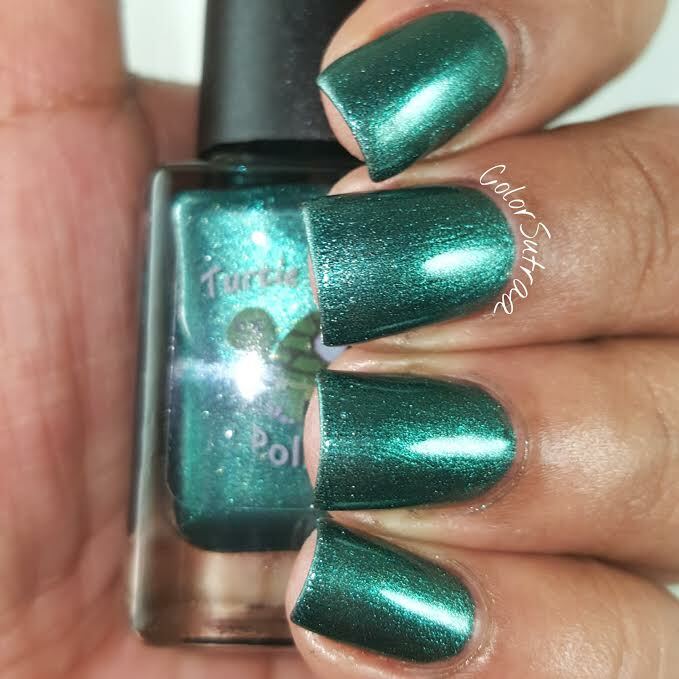 Remember to follow Turtle Tootsie Polishes on FACEBOOK and on INSTAGRAM for all the latest updates, restock times and sneak peeks! Will you be grabbing this duo this Friday? I would love to hear from you in the comments section below!